Our remote pic post just has my name on it. 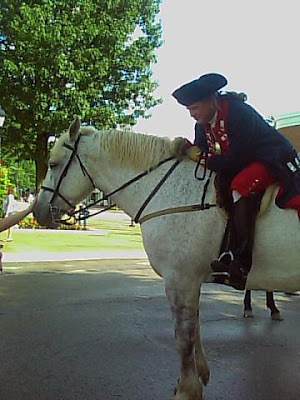 Love the shot of George Washington. Here's a BIG Howdy for General Forbes, Jr. Welcome as our new contributor to Ligonier Living. Liggy - that's the surprise! Ligonier 250 Was a Blast! 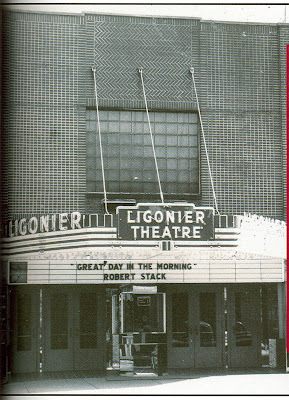 Posted by General Forbes, Jr.
Diane, several weeks ago you asked if anyone had a photo of the marquee that hung over the sidewalk at the old Ligonier Theatre. There is one in the book that went on sale at the Opening Ceremonies of the Ligonier 250 Celebration Weekend on Friday. Ralph Kinney Bennett did book signings in the bandstand Friday evening for two hours. The Fort, The Town, The Valley is a must have book for everyone who lives here and loves the valley. Ralph did a super job and it is packed with old photos. This photo appears on page 63 along with a current photo of the theatre. The book is a limited edition of 2,500 and over 500 were sold on Friday. They cost $15.00 and are available at the Chamber office and a few select places around town. All proceeds from the sale go to the Ligonier 250 Celebration. It is a wonderful book. You gotta get a copy of this best seller. This photo was taken in 1955.
dc's sunday night variety...man, if you want to learn to jitterbug, watch these Russian dancers in short shorts go! Boy, if I didn't know any better, I'd think I was in the middle of the French and Indian war or something today with all the artillery going off. This place is a real blast! Come and see the smoke on the hill! It made me think about the "official" community map on the wall next to Abigail's and how many Ligonier businesses aren't on that map. It's a community map, but we're not "official" so we don't exist......BUT if you live on the edge, like I do, you can find all the edgy info you need right here on Ligonier Living. Yeah, baby! Purrrrr.......fect. What's the most unique restaurant in the Ligonier Valley? We have lots of quirky and cool places but my vote goes to the Darlington Inn. Love this unique family restaurant. Owned and operated by a family of Hungarian immigrants, the food is homemade ethnic Hungarian cuisine. Come with a BIG appetite. My favorite is the Hungarian Goulash. Everyone is served a light soup to start, followed by a hearty meal. This is a casual family restaurant - old fashioned, reasonably priced. It's near Idlewild Park and not far from Route 30 but you'll need directions, so call 724-238-7831. It's 72 right now and cloudy, but no rain. It might rain a little bit today but I think we'll have a pleasant day for walking about town or taking advantage of the shuttles between the Fort, SAMA and the Inn. I like a day that's not too hot. This should be a nice family day in Ligonier. Come on up! Native American flutes this afternoon from 1pm to 4pm at SAMA. So today really showed what Ligonier is all about:):) LOVED the fireworks and just the spirit of it all. Too bad my phone died.....had tons of fun with chinese food, my mum, and everyone at the community picnic :) Met Mike O'Barto and might I say is a DELIGHT and listened to us and our suggestions after kindly asking:) Yes I'm all emoticon smiles because that is how I feel about this town. LOVE YA LIG!! ..... so pics of parade will have to flow wholywho-who-wholydo...do...who, next week. what's a guitar hero competition?? I don't know either but Carol and Dave's Roadhouse is having one! Hero line up is at 6pm on Wednesday, July 2nd. Register by calling 724-238-7555. Looks like you've got to register by July 1st to get into the competition. BTW - These are medium & expert divisions, so beginners need not apply. Wow, man, these guys are tough! I still have no idea what they are talking about..... heh heh...something's fishy here and it ain't the cod. Yes, I don't read the Echo as quickly as I used to because it's been a BIG BORE of late. Well, here's hap tip to Tina Sykes for her story, "Commission approves cell phone tower." Great work, Tina. I'll be watching for your by-line. Seems there's a cell phone tower going up on Didiano Lane, pending approval by the township supervisors. THAT'S REALLY GOOD NEWS. It will be serving four cellular carriers and should fill that dead cell area north of town. at "what used to be" the Fairfield Grille? Are they coming or going? I didn't have my camera, but Sandy agrees that one of them is dressed as a chef. The Botanic Garden of Western Pennsylvania will host its annual Open Gardens Day on July 13. This year, 18 gardens in Fox Chapel, Greensburg and Ligonier will be featured. There are two options for the tour: Tickets for a self-guided tour to the various gardens are $40; while the fee for a bus tour to the gardens of Greensburg, Acme and Ligonier, including a luncheon, is $90. For more information or to register call 412-444-4464. With change comes opportunity, right? Well, I still want an "in town" diner and hope someone will jump on the bandwagon, but in the meantime, it's forced me out of my comfort zone and HEY maybe I'll be eating just a bit healthier. I have found convenience, fresh healthy food, friendly service at a good price, a priority for lunch. I also need to get in and get out. That's REAL important. With that in mind, if you're in the same pickle and looking for a recommendation, here it is. First Wok gets my top vote with Rosalie's Jioio's Little Italy right behind it. Rosalie's only downside is the TV in one room and crappy music in the other. I can live with it, but it's there and so I'll not ignore it as an issue. I find both of these local restaurants are making fresh healthy foods. They meet all of my criteria, though I have to say it didn't feel like I was getting in and out at Rosalie's but time just moved slowly because I have such a low tolerance for TV and crappy music. Today for lunch at Rosalie's hubby and I both had a bowl of homemade wedding soup. We sprinkled some GOOD grated cheese over it....YUM and healthy. I had what I expected to be a smallish salad at $3.50 come out at a perfect size, not huge, but big. A big beautiful bowl of fresh greens and little - just enough - other stuff AND homemade croutons...it was the perfect size, very satisfying. The homemade Italian dressing - just perfect. It was a surprisingly wonderful lunch. I love that Rosalie keeps the price of the salad reasonable and doesn't add in a basket of bread. I don't want to eat that bread and if it comes with the salad, I will. Very smart, Rosalie. If you want bread, you order some bread and she's got some darn good looking bread there. BTW - Both restaurants are on West Main Street across from Holy Trinity Church. You know you're listening to a musical too much when you start to dream it. I dreamt I was out with friends when someone decided to let the live elephant out and it went running wild and tried to hurt a lady's child and the lady said I got the script for the musical for free and for a long time because I could sue them.....WILD! let's talk salad...do you have a favorite salad, available in town, in Ligonier? I do like the apple & pecan salad at the Ligonier Tavern, it's great with a nice glass of white wine and you can get a small size if you're not too hungry .......but on the whole, I'd say the best salad in Ligonier - in town - is at The Ivy Cafe on East Main Street. best place to have a beer - in town - Ligonier??? The Ligonier Tavern is also a favorite for locals and visitors. You can get good food at the bar and there's often live entertainment. The Tavern stocks a few microbrews so there's always an interesting selection and they have Guinness, on tap. BUT.....BUT.....if you like good beer on tap, I recommend Fat Daddy's on Route 30 next to PeeWee's Ice Cream. I don't get over there that often - would have to walk an extra block or two, BUT they have a nice selection of beer on tap and I love Tennents. It's there....on tap. looking for a good cigar and a newspaper????? 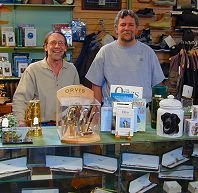 Pop on over to Ligonier Outfitters and see Dan or Jim. It's the old newsstand on West Main Street. the best place for good coffee in town, in Ligonier?? My vote goes for Abigail's on the coffee, too - especially their French Roast and Italian Roast. A tough second goes to the Ligonier Tavern coffee press -- IF--they still have that on the menu. It's too much for one person, though, so get it when you are with a friend. Hubby is a de-caf partaker and he swears the decaf at GetGo is the best. It's Market District brew. He mixes the hazelnut with Colombian to get his fix. the best place to have an ice cream cone in Ligonier? Mine is Abigail's on the Diamond. It's the hand-dipped variety and lots of choices. Is there anyone out there reading who's a big gelato fan? Don't they have gelato at the Main Street Deli on West Main?? 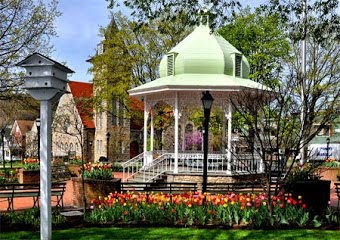 where's a good place to have breakfast in town, right in Ligonier?? Hey, let's try the Ramada! They have waffles, french toast, steak and eggs, and all the good old fashioned family style breakfasts we could want. I'm sure the coffee is flowing. Breakfast is served from 6:30am to 11:00am. Enjoy breakfast or dinner in "The Bistro" a casual family restaurant conveniently located inside the hotel where kids 10 and under eat free. 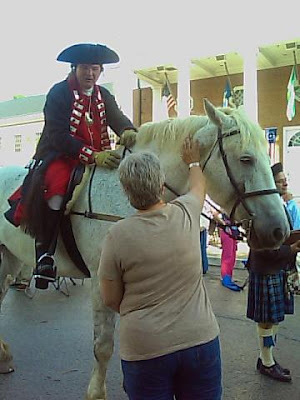 free tours for Ligonier residents this Sunday! Residents of Ligonier Valley Area School District will be admitted for free from 1 p.m. to 4:30 p.m. Sunday to Fort Ligonier and the Compass Inn Museum. A free shuttle bus will be available to transport visitors between the two museums and to the Southern Alleghenies Museum of Art, where admission is always free and donations are accepted. self sufficiency - so long fairfield! i gotta say, with three kids under 6 it has been difficult to eat out without one of them making a horrible scene. we have been to the fairfield several times and they immediately handed our girls the paper and crayons. that's a good sign. the bad sign: if our community is not willing to make a concerted effort to keep support as local as possible, bad things await. i highly recommend the books "geography of nowhere" and "home from nowhere." they're available on amazon.com. they tell the story of a town in upstate new york very similar to ligonier. the demise of the town is ultimately due to large retailers plopping themselves just outside of town. but, then when you think of it, people make the choice of where to shop. when the hardware store was in town, people didn't HAVE to shop at lowe's. people don't HAVE to shop at walmart to get christmas toys when the toy box is a great place for kids. you don't HAVE to get your prescriptions filled at giant eagle when the ligonier pharmacy offers the same stuff. i like that i know the owners of the establishments that i support. it just makes me feel like i'm helping build community. 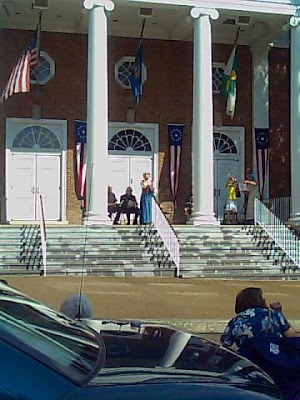 ligonier really needs to periodically audit itself from becoming too tourist-centered. "the geography of nowhere" explicitly points out that a town will become obsolete when it exists solely for tourists. aside from abigail's, martin's, and the sweet shop, i could never imagine shopping at any of the other places on the diamond. they're just not geared to the average local consumer. in fact, i couldn't tell you the last time i actually saw human beings walking on the southeast side of the diamond. every time we lose a place frequented by locals, it will be like the flower that is slowly wilting and losing its petals until one day, without anyone noticing, it's replaced with a shiny new plastic flower...pretty on the outside, but completely devoid of life. Hey, I see you're looking for it. I don't have the info on me. It's at home. The pie contest is this weekend. It's part of the 250 Celebration Kickoff. Here's their web site. May you can get a contact there or perhaps call the Chamber Office. Happy baking and good luck!! First Wok is our in-town, very friendly, very clean, very yummy, Chinese & Japanese Restaurant. Hey, it's not a diner BUT you have booths and tables with chairs and it's not fast food and if you are careful with your choices, not too expensive either. Hubby had two vegetable egg rolls and a diet Pepsi. I had broccoli with garlic sauce - the lunch special, which came with choice of soup and rice. I also had hot tea. The food at First Wok is always delicious and fresh. The service is tip top and fast. So, my take so far is that it's no diner but for many of the things I like about a diner, they have. Booths to sit and chat in. Casual atmosphere - no rush. Real ceramic cups for hot tea. Affordable and healthy portions and choices making it a good place to have regular meals. PLUS - they have a wonderful outdoor cafe style dining area. BYOB is okay if you want wine with dinner. PS - They also do party trays. Yesterday was so nice I went up to Ligonier. I first went to the town of Ligonier. 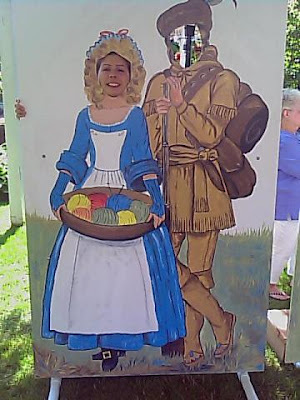 I went to the gift shop at Fort Ligonier. They have a lot of Native American stuff. They even have a whole section of one wall devoted to books on Native Americans. 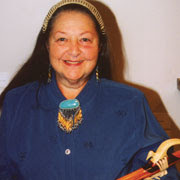 You can even buy books on Native American crafts and skills for doing things. I got a post card of a Delaware chief for Kimberly. I also got a post card of how Pittsburgh looked in 1763. There was nothing but Fort Pitt on the Point. The post card was a painting of some Indians climbing Mt. Washington and looking down at the Point. I also got Kimberly a beaded Indian necklace. Then I walked around Ligonier. There is an Indian store with all kinds of Indian crafts and artifacts, but it was closed. There are dozens of dream catchers hanging from the ceiling. Beanerywriters meeting this Friday at the Coffee Bean Cafe in Latrobe. Beanerywriters meet the second and fourth Fridays at the Coffee Bean Cafe in the back room in LATROBE from 1:00-3:00 pm. Call Carolyn at 724 238 3493 for further info. Call it a volatile mix — cars, motorcycles, coal trucks and bicycles mixing en masse on a two-lane road. State and local officials are warning drivers that U.S. Route 30 on Friday morning will present some challenges and require patience from both local and visiting travelers. “We’re asking that drivers be aware, be patient and slow down,” said Pam Kane, a state Department of Transportation spokeswoman. The largest disruption happen as more than 100 bicyclists race from Bedford to Ligonier along the road from 11 a.m. to 1 p.m., according to organizers. and who to my surprise popped out from behind the piano tonight?? who? who? who? Liggy girl! She's helping with the musical direction of Seussical. Wow, what a nice surprise. 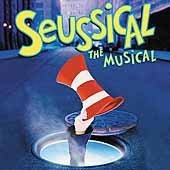 This is a new musical, based on the works of Dr. Seuss. But it isn't just a string of his stories set to music. And it isn't just one of his stories. In fact, what we've done is to create a totally new, full-length book musical, with a story which weaves together his most famous tales and characters in unexpected way. The Seuss lexicon includes hundreds upon hundreds of wondrous characters, creatures, places and things. "Seussical" incorporates elements from at least 15 of this books, as well as many of his best-loved and most familiar characters. Many of these characters never met one another before. But they meet in our musical. And in the course of the evening, some will fall in love, some will have desperate adventures and some will save the world. And they'll all travel everywhere from the Jungle of Nool to McEligott's Pool to Palm Beach. Dr. Seuss believes in helping a friend, in not giving up, in keeping a promise. He believes in the value and dignity of others, in working to preserve the fragile sweetness of the natural world, and he believes that peace is the ultimate ideal, among nations and in every heart. He also believes in the pure power of the imagination. You will find all these serious concerns at the heart of "Seussical." The Ligonier Tavern has great bread and they give you a generous serving with the soup so I have to say I was stuffed and the tab was on par with what we might have spent at the Fairfield. On the way back to the office I ran into Cathi and Sandy who shared our lament over the loss of our diner. PLEASE, PLEASE - ANY ASPIRING DINER OPERATORS - COME TO LIGONIER. WE NEED YOU!! LORD, that is truly sad. Yes I feel semi silly saying that about a restaurant but it's true! I always send people there when they ask for a nice simple but good meal. We were just talking about how great it is and the town spot. Man.... this stinks. Anyone with a lil spare cash wanna buy it and as Diane said tweak it (so true, nice lil tweaks) and keep our town OUR TOWN. I can't help but feel a little sad after reading that post talking about the Echo and now our restaurant! I'm serious, I woke up this morning fretting over the Fairfield Grille. After the decimation of the Ligonier Echo and hearing it was the landlord raising the rent that's killed the Fairfield Grille - I've got to wonder if business decision-making at some crazy level is hell bent on clearing out our little town. The landlord in Pondstone Park has emptied those buildings with outrageous rent. Fun stuff missing. The ownership of the Ligonier Echo have gutted and left empty our hometown newspaper. Real heartfelt provocative news missing. And now, the coup de grace, the Fairfield Grille is closed because of a hideous rent increase. The heart of Ligonier, our in town diner, gone. I understand that restaurants operate on a fine balance. This is one spot that has a regular and loyal customer base. It's perfectly positioned to serve town visitors. It's the kind of homey spot that so long as it is clean and in good repair, people like the modest furnishings. With a few tweaks here and there to improve efficiency, that place could be a gold mine, but not if the rent is out of kilter. Who the heck is the blooming landlord???? The buzz on the street is the landlord hiked the rent by 30 PERCENT!! the Grill's lease was until June 30th. I can't help wonder who could afford that steep of an increase? The food business operates on a very narrow margin and that raise would put the owners in the poorhouse. What a shame!!! Follow the Valley Players production of Seussical as we pull it all together. We're gonna have to think some good thinks and have a real good time. SEUSS. SEUSS. SEUSS. SEUSS. SEUSS!! 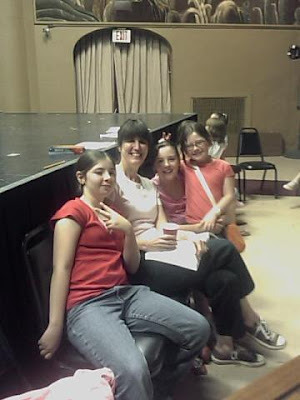 OK, this was a test video from our Seussical rehearsal.......LOL I'll work on the lighting. Nice to see you two ladies! breaking news....The Fairfield Grille is closed. I'm really shocked. I knew it was for sale but I didn't think it would close. Lots of people depend on that place. This is going to be strange and there are lots of people we'll miss seeing every day. I found this blurb when Googling for an image of Rick. It's true. It's true! Rick was a needed community leader. We miss him. He was the heart and soul of the Ligonier Echo. Since there are more than 2,000 Historical Markers within Pennsylvania's borders, we've organized them by theme to make your exploration easier. Within these story themes, you'll find stories that highlight specific aspects of Pennsylvania's history, as well as the Historical Markers that exist to denote significant places and events within those stories. The Jemison family discovered just how badly those relations had deteriorated on that fateful morning in 1758. The French and Indian raiders spared sixteen-year old Mary, but they killed and scalped her mother, father, and three of her siblings. 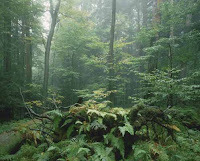 So began an odyssey for Mary that would take her even deeper into the Pennsylvania wilderness. Her captors carried her to Fort Duquesne, the French post at "the Forks," where the Allegheny and Monongahela rivers join to form the Ohio. There, two sisters of the Seneca nation who had lost a brother in the war adopted Mary as his replacement. They took her downriver to an Indian village, where they washed and dressed her and gave her a new name, Dickewamis. Within a year, her new sisters arranged her marriage to a Delaware Indian, with whom she had two children. A few years later, Mary moved from the Ohio Country with her new family to the Genesee Valley of New York. She never returned to Pennsylvania or European society. If you've been thinking about visiting Ligonier, this next weekend would be a fantastic time to come and stay. Hey, it's here...the Kick-Off Celebration! We're gonna have some great fireworks from Zambelli, the big guys, and it'll be right in Weller Field. 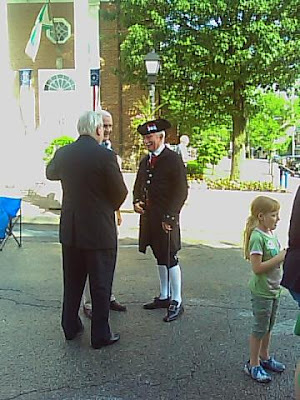 With media attention already focused on the community during the weekend of June 27th-29th, Ligonier 250 planners have selected that weekend for its Kick-Off celebration. Periods of free admission will be offered at Fort Ligonier, Compass Inn as well as the Southern Alleghenies Museum of Art. Entertainment will be provided in Ligonier’s “Diamond” area. The Committee will host a family style community picnic with activities for children, an evening concert at Weller Field and culminate with a fireworks display. Look at these pretty birdies! Don't miss your chance in this year's Ligonier Valley Library Pet Photo Contest. Prizes will be awarded in four categories: Dogs, Cats, Pocket Pets and Farm Animals. The category of “Pocket Pets” may include gerbils, hamsters, …even tarantulas! Plenty of people have unusual animals in their lives and we want to see all those pictures and give them an equal chance to win. So many goats and horses were entered in last year’s show that we added the category of Farm Animals just for them. OMG Diane!!! Let me say so sorry you had that and hope you mend really fast!! I can so feel your pain. I had reactions bad before, and more recently when fighting an illness I had a reaction to the antibiotic, the itchies inside and out...just crawling skin. Glad you're back from the brief vacation to itchville hehe. :) Congrats on the Abigails coffee:) I'm jealous. You are so right there's SO much going on this weekend! I have been plagued these last few days with an allergic reaction or something that made my face itch like crazy and swell up and get red and AT THE SAME TIME, had computer malfunctions at the office AND at home. So, I'm on steroids and slowly fixing the 'puter stuff. Please forgive my absence at Ligonier Living. YOI......DOUBLE YOI. I do have to thank Abigail's for the "lucky local" free coffee this week. It was the one yummy thing that helped - especially since it was Italian Roast. Thank guys.